The Tower of London has filled its iconic moat with thousands of ceramic poppies to mark the centenary of the First World War. 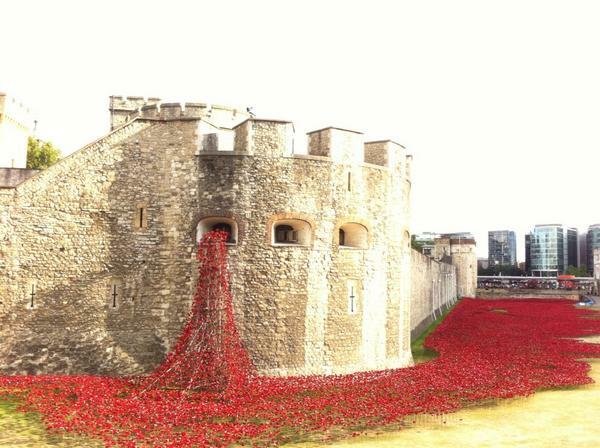 The art installation, entitled Blood Swept Lands and Seas of Red, will grow throughout the summer. Its creator, ceramic artist Paul Cummins, hopes to fill the evolving installation with 888,246 poppies, honouring each British and Colonial soldier that died during the war. 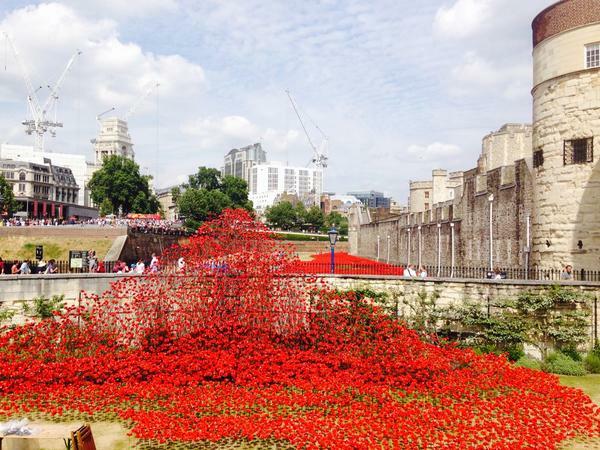 The last poppy will be planted on 11 November, symbolically marking the end of the First World War. From 5 August, each poppy will be available to buy for £25, with proceeds being shared among military charities.